Thoughts from Dave. . .
with those they will serve. Visiting members who are in need of care (i.e. communion). Visits will be coordinated with Pastor Amy Wiles. 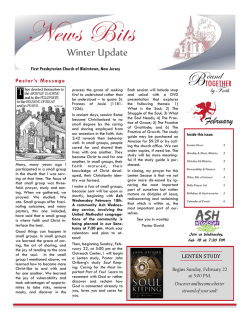 The off season is over and plans are in place for Synod School 2015. 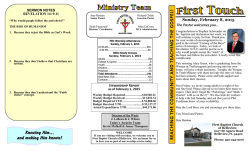 The annual midsummer ministry will run July 26-31 at Buena Vista University in Storm Lake, Iowa. 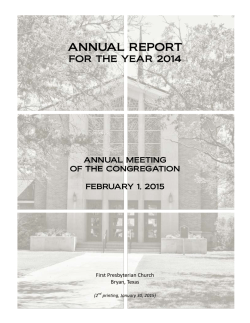 Century and Sojourners, leads conferences and serves in numerous capacities for several Presbyterian groups. There's more at "Synod School." College. Both education activities are organized by the Omaha Presbyterian Seminary Foundation. through Aug. 1 next year at the University of Tennessee Conference Center, Knoxville. Details should be showing up soon at "Big Tent." in the fall of 2015. The program of study is designed for individuals who discern a call to the practice of Spiritual Direction. model with online components and is intended to be completed in two and a half years. received by the deadline. Click HERE to access the complete application and instructions. Response to this program has prompted us to make a limited number of spaces available for additional participants for the spring session, March 19-22. Please follow link for details and registration. normative or unanticipated career transition, standing at a vocational crossroads of some sort, engaging in reflective self-assessment and finding support among peers. including a link to the application, click here. group of clergy, educators and other church leaders on the campus of Columbia Theological Seminary in Decatur, GA.
library, chapel services, and fitness room. For additional information about Guthrie and the Scholars program, including a link to the application form, please see the Guthrie Scholar Brochure posted on the seminary website. 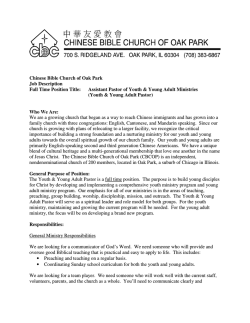 Webster Groves Presbyterian Church (WGPC) to inquire if you are aware of anyone who may have an interest in our Senior Pastor/Head of Staff position. Attached is the MIF for your perusal. 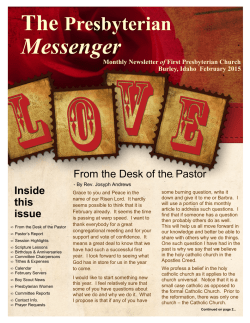 healthy church in transition and have been blessed with an incredibly positive interim ministry experience. and has historically had balanced annual budgets. 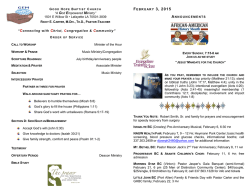 February 2015 - the Burley First Presbyterian Church Website!